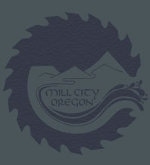 The City of Mill City has two (2) vacancies on the Mill City Planning Commission, as of June 30, 2019. Interested residents must submit an application outlining their interest in the position by May 10, 2019. The basic eligibility requirement is residence within the city limits or within two (2) miles of City limits. The Planning Commission meets once per month on the 3rd Friday of the month at 9:00a.m. In the case of a public hearing the meetings are changed to the third Tuesday of the month at 6:30p.m. Meetings are held at City Hall; 444 S 1st Avenue. Addition­al work sessions are scheduled as needed. The Planning Commission reviews all land use applications and development proposals. They also consider amendments and updates to the city’s zoning ordinance and comprehensive plan.­ Applications are available at City Hall or on our website: www.ci.mill-city.or.us. Questions may be directed to City Recorder Stacie Cook, MMC at (503) 897-2302. Mill City, OR, August 31, 2018: The Mill City City Council, at their August 28, 2018 meeting, approved Resolution No. 831, which authorizes rate increases for water service within the City of Mill City. The increase is effective October 1, 2018 and each October 1 annually thereafter for a period of five consecutive years. October 2018 rates shall be as shown in the below spreadsheet. The absence of regular rate increases has meant that water revenues have held steady over the past nine years while expenditures continued to rise. However, the Water Fund is an enterprise fund and must be self-supporting. It is the intent of the City to implement this rate increase to begin improving the overall health of our Water Fund and Water Reserve Fund. Revenues from the increase will be used for much needed system maintenance and repairs as well as placed in a reserve “savings” account for future needs. A full water rate study was completed prior to this increase and was the basis for determining what increase to implement. A full outline of future increases is included the Resolution No. 831, attached below.